Ashbury Precision Ordnance APO Custom Shop (APOCS) Builds Custom .338 Lapua Magnum SEFR (SABER Enhanced Factory Rifle) Anti-Materiel/Sniper Rifle(s) for New Action Television Series ‘Shooter’ Premier | DefenseReview.com (DR): An online tactical technology and military defense technology magazine with particular focus on the latest and greatest tactical firearms news (tactical gun news), tactical gear news and tactical shooting news. 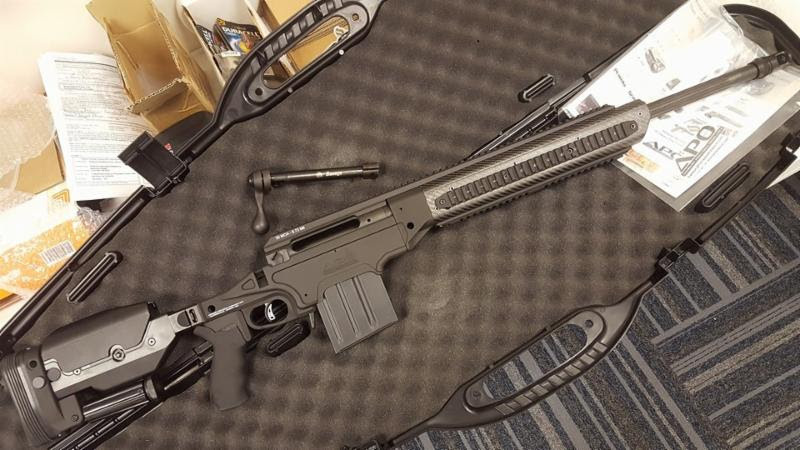 Speaking of Ashbury Precision Ordnance (APO) tactical rifles, the APO Custom Shop (APOCS) has apparently built some custom .338 Lapua Magnum SEFR (SABER Enhanced Factory Rifle) anti-materiel/sniper rifles for the premier episode of Shooter. 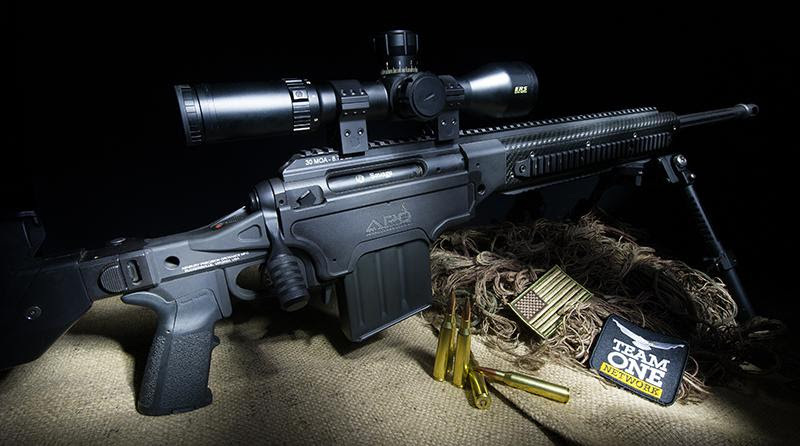 This is, in DefenseReview’s opinion, an excellent choice, since the APO SABER rifle chassis system (in this case, the SABER SVL-A2), is a proven one that can achieve up to .5 MOA (Minute Of Angle) accuracy, and look good while it’s doing it, which is important for television (or film). Anyway, DR’s really looking forward to seeing the APO SEFR .338LM tactical rifle in action on the small screen very soon. In the meantime, enjoy the Shooter trailer video below. Ruckersville, VA. – AshburyPrecision Ordnance Mfg‘s Custom Shop (APOCS) was selected by Independent Studio Services, the world’s largest weapons provider to the movie and television production industry, to create a distinctive sniper rifle especially for the new SHOOTER television series premiering on the USA Cable Network November 15, 2016. The new TV series is based on the hit 2007 movie by the same title starring Mark Wahlberg, who is also the new series’s Executive Producer. “The SHOOTER production team did not want a non-functioning Hollywood prop,” said Matthew Peterson, Ashbury‘s Product Development Coordinator. “It was important that the sniper rifle used in the TV series had modern, realistic character and be a fully functional ‘real-steel’ precision rifle system. The new signature SHOOTER TV series rifle needed to be based on a ‘commercially available’ factory rifle, built on the innovativeSABER®-FORSST® modular rifle chassis system.” APO had just the answer…a SABER Enhanced Factory Rifle – SEFR! The Quattro forend has co-bore aligned Picatinny accessory rail attachment points at 3 and 9 o’clock for laser pointers, illuminators and laser rangefinders. The 6 o’clock forend rail accommodates variable bipod and tripod attachment points. The SVL-A2 MOD-1 has an ergonomically adaptable Push Button Adjustable Hybrid (PBA-H) shoulder stock, drop adjustable Limbsaver® premium recoil pad, height adjustable field monopod, re-positionable hand & grip angle adjustment and a detachable 10rd 3.76″ high capacity magazine that accepts CIP length ammunition.